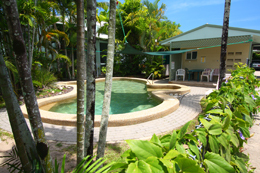 Coral Reef Apartments are located in a quiet area of Cairns. 2.5km [5 minutes drive] from Cairns Central and only 400 meters away from the all new Cairns DFO [Direct Factory Outlet]. Here you will find a wide range of small shops [about 80] that offer well known brand name products direct from the factory door. There are also a number of other well established shops operating here such as Cole's supermarket, a news agency, post office, liquor store, hairdresser, pharmacy and a number of well appointed coffee shops and eateries. The Cazaly’s Aussie Rules Club (where everybody is welcome) is also only 400 meters away and here you can enjoy good, reasonably priced restaurant meals, light entertainment, over 250 poker machines, and the TAB. A regular bus service (every 10-15 min) operates from Cairns DFO which will take you to the city or the northern beaches. A taxi from the airport to our Apartment will cost around $24. If you prefer we can arrange for a current model, air conditioned hire car for any length of your stay at very competitive rates and the company will meet you at the airport or at our complex. Rates range from $48 per day for a small budget model to $80 per day for a larger vehicle, Toyota Camry or similar. These rates are based on a hire period of between 4-6 days and include unlimited kilometres and insurance. The rates are reduced for a longer hire. Please advise your requirements and we will quote a special rate. 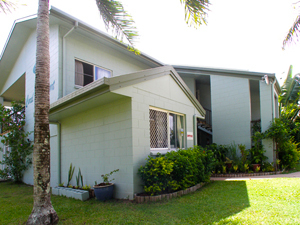 The Coral Reef Apartments' central location makes it easy to get to a number of Cairns amenities. Within a 3km radius we have The Esplanade; The Cairns Convention Centre, The Cairns Casino; Brothers Leagues Club; Cairns TAFE, Cairns Basketball Centre, Barlow Park Sports facilities; Cairns West Bowling Club, Cairns Sportsworld Fitness and Health Centre; a wide range of medical practices as well as Cairns Base Hospital; Portsmith marine maintenance facilities, Stockland Shopping Mall and cinemas, Cannon Park Raceway and just a little bit further down the road, Cairns Golf Club. Our facilities include a salt water swimming pool with spa, Gas BBQ undercover car parking, tour desk and on site management. Free WI-FI is available as well as free broadband internet from the office. 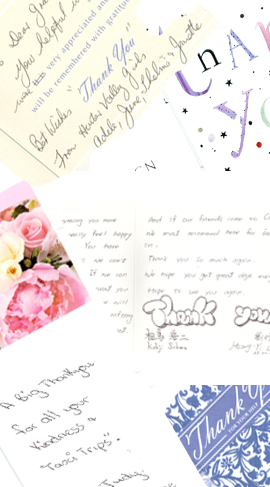 We will also be happy to help you with your fax or photocopying needs at any time. All apartments have a full kitchen and laundry facilities. Apart from the full kitchen in your apartment there is the gas BBQ available near the pool which you are welcome to use during pool hours. There are also free BBQ plates all along the Esplanade, in town and at most of the Northern Beaches. There are numerous tables and shelters located near these to make your outing more comfortable. Coles Supermarket in the DFO Westcourt Shopping Plaza just 400m away, will gladly supply all your BBQ and other needs. If the cooks are on holiday too, there are a number of options available. For a hearty breakfast or a healthy lunch you might try the one of several coffee shops or the food court at DFO Westcourt Plaza. These are not open at night though. For a quick feed for the ‘troupes’ there is a Hungry Jacks on the other side of the DFO Westcourt Plaza car park which will satisfy your needs from 6am to 10pm. For a good but reasonably priced lunch or dinner meal you cannot go past the Cazalys AFL Club which is located at the end of the car park on the corner of Mulgrave Road and Tills Streets, just 400 meters away. The bistro is open 12-2 for lunch and 6-8.30 for dinner with snacks available in between times. Take out a membership of the Club [$5 or $2 for Seniors] and get this back straight away in food and drink discounts! They have evening dinner ‘specials’ on Monday, Tuesday and Wednesday nights which you cannot beat for value. On Mulgrave Road, just on the city side of Cazalys you will find a very nice Italian Restaurant and a bit further up the road, a Thai Restaurant. Eagle Boys Pizza is available near by as well. There is the usual range of fast food outlets in Cairns city or out the other way at Earleville and off course there is a range of delivered pizza options to choose from. We can help you make your choices. In Cairns CDB you will find a large range of fine eating houses with specialities from most countries catered for. You can have a selection of what they have on offer delivered to your door if you wish. For more information on this look at the blue ‘Gourmet Deliveries” booklet in your pantry. A delivery costs about $6 per restaurant. Use the booklet to just check out their menus. Club dining is very popular in Cairns with the locals. Apart from the very convenient Cazalys, you can also enjoy good meals at Brothers [Corner English and Anderson Streets] or the RSL on the corner of Florence and the Esplanade in town. Just sign the visitor’s book as you go in the door. At Coral Reef Apartments we can also have available one and two bedroom apartments for long and medium fixed term letting. These apartments are either fully furnished or partially furnished. Our tariff for these apartments are based upon a weekly rate and range from $180 per week to $230 per week depending on the unit. 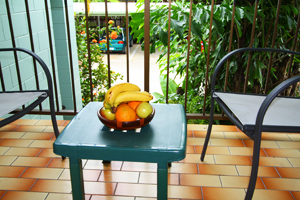 The one bedroom units are for a maximum of two persons and the two bedroom are for a maximum of 4 persons. For stays of three months or more, we let these units out using the standard Queensland lease agreements, for a fixed term. Four  weeks bond and two weeks rent in advance is payable upon signing a lease agreement. We do not supply linen for these units and power is an extra cost. Any servicing or cleaning costs are not included in the rates and there are no discounts available with this type of letting. We can also rent out these units on a fixed term agreement for less than three months subject to availability. For this type of short term letting we can design a package that best suits your requirement. Linen, servicing, cleaning and power charges can be included as options according to your needs. Your rental agreement includes a car port and use of the pool and BBQ. Please enquire by phone or email for availability and rates. If you would like to make a booking ,or would like more information, please contact us. To confirm a booking we are required to take a $100 deposit. This can be done by credit card, cheque or these days, direct transfer to our bank account. This deposit is fully refundable for cancellations that are made 96 hours in advance of your scheduled arrival. We do request that full payment of the balance is made upon your arrival and check in. Please note that at this time, we do not have EFTPOS facilities available but we can accept Visa and Master Card credit cards. 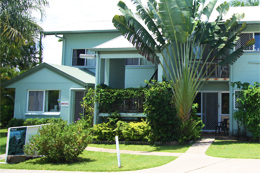 Coral Reef Apartments, like most similar establishments, do not normally accept bookings for one night stays. Our normal minimum stay is three nights but we will accept two night stays subject to availability. Regretfully, should the length of your planned stay change after arrival, any extension would be subject to availability and any reductions would be subject to the three night minimum stay. Our normal check-in time is from 2pm daily and normal check-out time is up to 10am on your day of departure. However we will be happy to try to accommodate your requirements for a check in or check out time that best suits your needs, subject to room availability. And many, many more to choose from!